Why do you need a Dehumidifier in your crawl space? Dehumidifiers for Pest Control:A rise in the pest population means that you need to be more careful about pests’ intrusions. If your home has been through a hurricane and experienced moisture problems that presents further risks. Excess moisture inside your home, especially if left unattended, becomes quite attractive to moisture loving pests like termites. Keep in mind that moisture may be hidden in areas like the crawl space, attic, or basement. If there is moisture, try to take care of it as soon as possible. This will help prevent pests, as well as mold, and fungi. Dehumidifiers for Moisture Control: Another area of your home that can be a massive cause of moisture problems is your crawl space. If left unattended, your crawl space may be home to issues such as standing water, pests, or mold. If you do notice signs of high humidity and moisture, it’s important to take steps to control the humidity in the area. For instance, enclosing your crawl space and installing a dehumidifier will allow you to maintain a consistent humidity level and prevent many futureissues. 1. 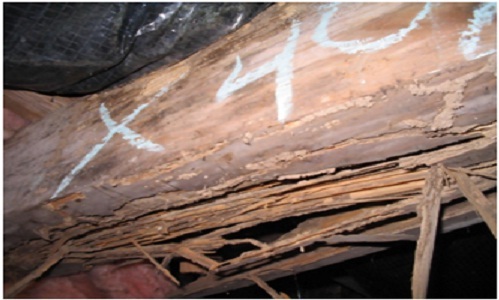 White Rot attacks primarily hardwoods and causes a white or yellow discoloration by attacking the cellulose and lignin in the wood. Eventually, the wood will develop a spongy touch and stringy appearance. The Benefits of Installing a dehumidifier Under Your Home. Crawl Space Dehumidifier Service:Each dehumidifier unit needs to be serviced yearly. Every unit installed by Universal comes standard with a one-year warranty. Starting the second year, Universal Pest & Termite will offer an optional yearly maintenance plan. This includes cleaning the coil, cleaning or replacing the filter (s), inspecting the unit including drain lines and making sure the settings are correct. . 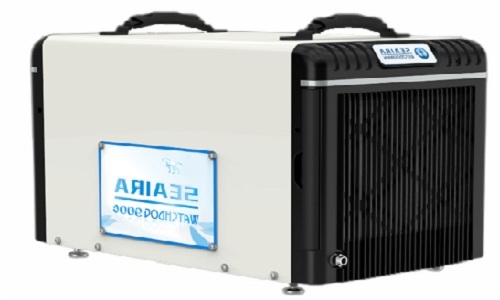 The WatchDog 900c (Shown Above) is the largest crawl space dehumidifier in the Seaira Global lineup. With a 90 pints per day capacity, the 900c is perfect for larger areas that need moisture control. What sets the dehumidifier apart from the 900 dehumidifier is the built-in condensate pump that makes set up and installation easy. Although the Watchdog 900c is the most powerful crawl space dehumidifier offered by Seaira, that doesn’t mean it sacrifices efficiency. While producing a 370CFM airflow, the machine runs at 2.8 L/kWh and only 5.5 amps. The Watchdog 900c also includes several convenient upgrades that make using the dehumidifier simple. For instance, when it’s time to set your desired humidity level, simply use the digital touchpad display screen. Once the set point is in place, the 900c requires minimal attention from you thanks to features like automatic humidistat control, temperature controlled defrost, and auto restart. First, you will need clean out any debris that may be cluttering up the crawl space. This will allow for a clear inspection of the ground in the crawl space. It will also ensure that the vapor barrier can be installed properly. Next will be an inspection of the sub-floor insulation. This is to determine if any insulation needs to be replaced or pinned back up. An inspection of the wooden members of the sub-floor should be done next. This will tell you if any structural repairs will need to be made. 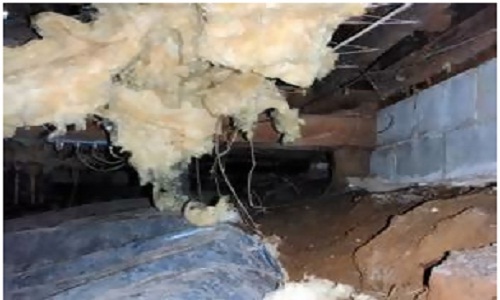 Universal Pest offers repairs to floor-joist and support beams. Next will be the installation of a poly ground cover. Typically this is a 6 to 12 mil thick polyethylene. The ground cover should be anchored down with proper staples or ties. Universal Pest & Termite offers easy payment options through SmartPay. This payment solution includes. 90 days same as cash, 6 month interest free as well as terms up to 24 months. This allows for finding a solution for your home without having to break the bank.